Now that our resin floor has been laid in our lounge and kitchen (yeah!!! ), it’s time for me to shop for a new dining table since I sold our radius table from Habitat before we started the renovations.Here are three looks I love with a preference for the first two, which one is your favourite? GET THE LOOK >> 1. 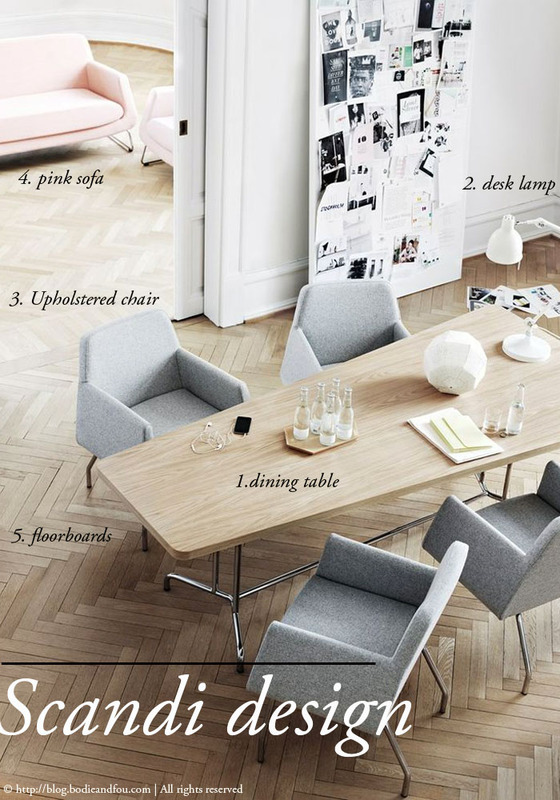 Dining table | 2. Desk lamp | 3. upholstered chair | 4. pink sofa | 5. floorboards I’m so stealing the idea of the moodboard against the wall and this pink sofa from is to die for!